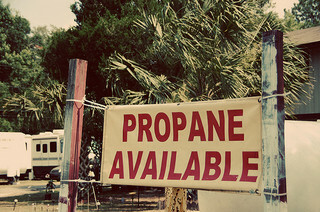 LPG (or propane, as most people refer to it) is most commonly used in the United States for heating purposes. But in China, Europe and other countries around the world, you’ll find vehicles large and small running on clean-burning compressed gas fuels - cars, trucks, buses, large trucks, even Chinese scooters and Indian rickshaws. With the current push toward greener fuels, it's only a matter of time before seeing LPG -powered cars and trucks in the US won't be closer to the norm than not. BELL'S LPG TREATMENT is formulated to solve fuel-related problems for all types of engines that burn LPG/compressed gas fuels, as well as optimizing the gaseous fuel for peak engine performance. The combustion enhancers in Bell's LPG treatment enable more of the gaseous hydrocarbon fuel to be burned and converted into heat energy at the proper time in the combustion cycle for internal combustion engines. They also minimize pre-oxidation reactions within the combustion chamber. Users receive better mileage and performance and the engine emits fewer carbon monoixde and other hydrocarbon emissions. LPG fuels available in the marketplace aren't as clean as those taken from the original source, and contain unstable molecules and olefins. Deposit formation and gradual instability of the fuel are the result. It is not uncommon to find performance-robbing deposits in the engines and fuel systems of vehicles and machines that have been using LPG for long period of time. Bell's LPG treatment removes these deposits, restoring the engine and gas delivery system to like-new condition and performance. Some systems have problems with the dry properties of LPG fuels, as evidenced with the number of valve recession and wear problems seen in LPG -powered cars in Europe. Bell's LPG treatment contains powerful, high quality lubricants to prevent excess wear on valves and other components. BELL'S LPG TREATMENT is your best choice for the best performance and life of your LPG-powered engine. BELL'S LPG TREATMENT is sold in one gallon and 55-gallon product sizes. Call Bell Performance for more information.